Here are 3 sure-fire tips our Site Development Team use to strategically craft our About Us pages to make it work to our advantage. 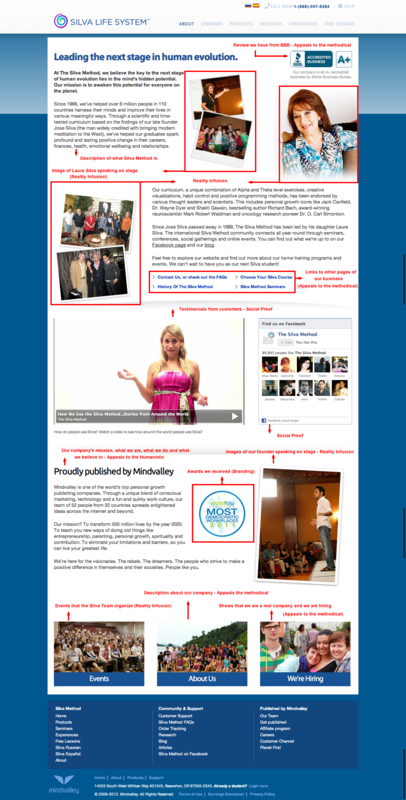 Question: Does an About Us Page complement your site? Yes, your About Us page is super important. Not just for branding. But for advertising too. 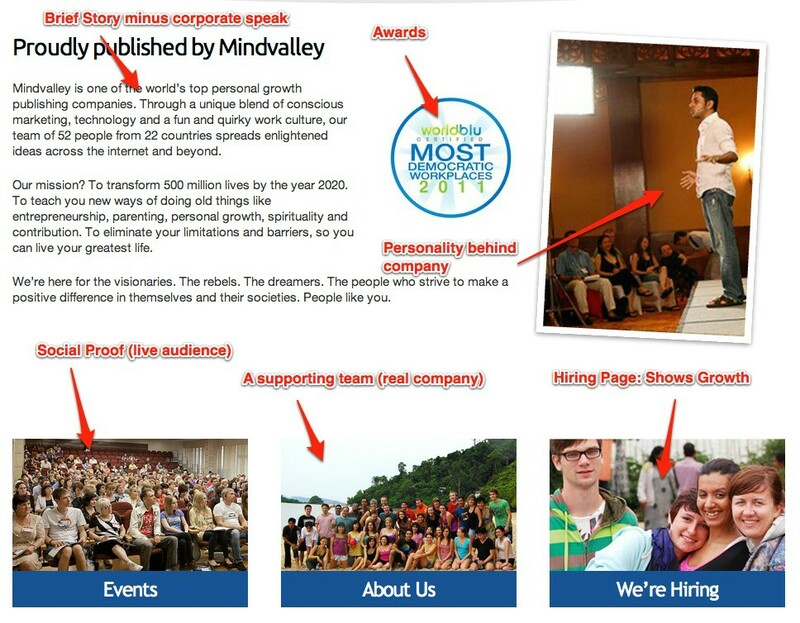 At Mindvalley, we take our About Us page very seriously. 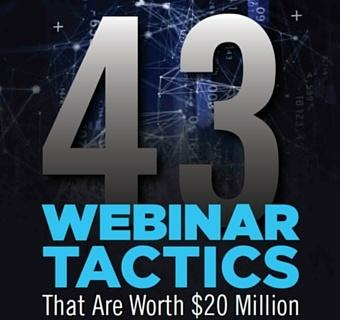 And it’s not just us – Google and ClickBank require that we include an About Us page whenever we launch our Pay Per Click (PPC) and affiliate campaigns because they too recognize the importance of an About Us page for site visitors and customers. Don’t have an About Us page yet or yours needs some DIY? Here are three sure-fire tips we use to strategically craft our About Us page and make it work to our advantage. Reality Infusion is to showcase the authenticity of our author in the About Us page to assure visitors that our authors are real people doing real work and that our authors are not “made up” by us for the sake of a page filler. (ii) Go further by showcasing video or written testimonials of satisfied customers. This added step can boost the authors’ credibility and provide social proof in respect to the benefits of the author’s product. Here is a screenshot showing elements of Reality Infusion. Click to Enlarge. Hot Tip #1: The type of pictures you select determines the type message you communicate to your visitors. 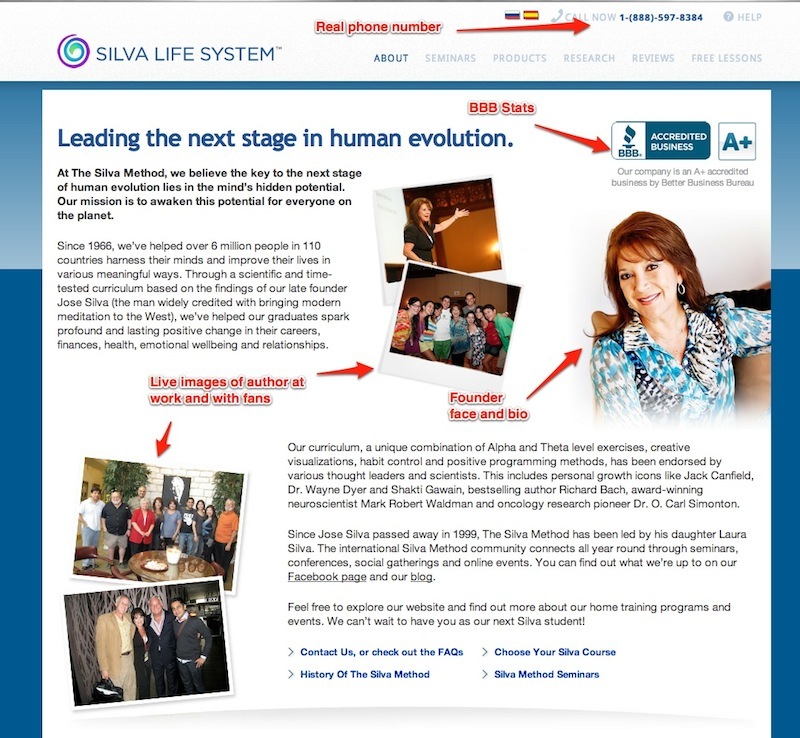 Note our example where we selected a picture of Laura Silva speaking on stage to communicate her authority in the meditation niche. What does your brand communicate? What does your brand stand for and what values does your brand hold? These are very important questions to ask yourself when it comes to branding your About Us page. Branding is when an idea or image is marketed so that it is easily recognizable by as many people and is identified or linked to a certain service or product (despite there being many others offering the same service or product) – think Apple, Nike, Levi’s, Gap. Branding is not about getting your target market to choose you over the competition, but it is about getting your prospects to see you as the only one that provides a solution to their problem. After all, you believe in the strength and pull of your product (if you don’t there is no need to continue reading!) and this has to be effectively communicated through the branding. Building familiarity among your prospects will in turn, build a loyal following. We always use Mindvalley’s brand on our About Us page to communicate our presence in the market, the values we hold, what we do and what our mission is. See screenshot below for details on what elements to use. Click to enlarge. People also love to know a brand better – beyond the product itself – and therefore it is important to showcase your company’s achievements such as any awards or accolades that your company has received. In our case, it is the WorldBlu Most Democratic Workplace Award, which we’ve won five years in a row now. Hot Tip #2: A brand is more than a logo itself; it is about the people behind the company and the values it stands for. As such, it can be advantageous to select a picture that showcases the company team, mission and values. Do you know your target market and their persona/behavior? Personas or a visitor’s profile refers to their behavior and the type of mindset or emotions they carry when considering to buy a product – for example the behavior of a Facebook Ad lead may differ greatly from an organic search lead. (i) Methodical decision makers: These individuals are concerned with how things work, organization, rules, and methods. They can be too rigid. They’re also practical, analytical, conservative, and devour information. (ii) Spontaneous decision makers: These folks are high-energy, poised people. They’re concerned with activity, flexibility and authenticity. Often, they’re too impatient. They’re adventure seekers. They are responsive and seek individual expression and attention. (iii) Humanistic decision makers: These are people-oriented people. These folks are concerned with relationships, harmony, principles, and big-picture outlooks. They can be perfectionists and slow to make decisions. They’re listeners, creative types, and easy-going. They seek possibilities and meaning in their work. (iv) Competitive decision makers: The driven, success-oriented people. They’re independent, enthusiastic, and controlling. They are willing to take risks and can be a dominating. They’re logical, seek competence, set higher goals, have clear visions, and make quick, smart decisions. It is important to note that your product may not necessarily appeal to all four persona types, so you can choose which one is your target based on market research and focus on that demographic. (iii) One of the reasons why we include Reality Infusion as part of the About Us page is also to communicate to the methodical persona that we have gained a proven track record/experience in our area. As you can see from the above, these three tips provide a great way to troubleshoot and fix your own About Us page to ensure that you are making the most of your voice piece. If the Products Page is the body, then the About Us page is the soul – so get creative in finding a way to get your company known as the benchmark of excellence behind your product. Did you find this article useful? Do you have any other tips you feel would complement the above? Nicholas Ho is a member of the Site Development Team at Mindvalley. Next post Is Goodwill Worth Your Attention?